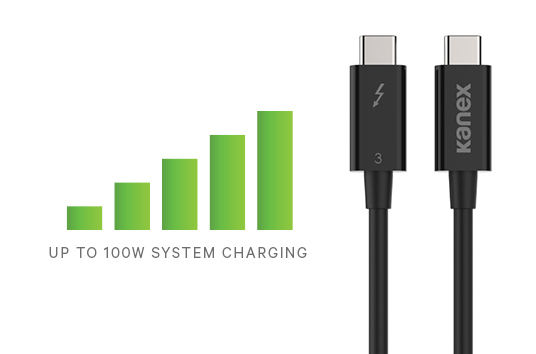 ThunderboltTM 3 Cable delivers blazing fast speed, superior data transfer performance, and supports up to 60W of charging. Compatible with all Thunderbolt 3 enabled computers. Compatible with one 5k monitoror or two 4k monitors simultaneously, each at 60 fps. • Optional notebook charging up to 100W while simutaneously supporting data and display transfer.